Our technology is used for so-called serious gaming: military units around the world use our software to prepare for battle conditions. 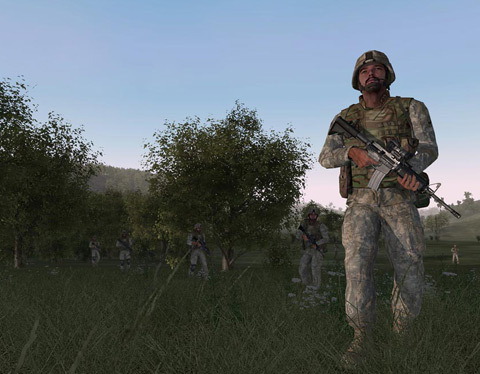 Our 3D engine is used in the tactical simulation software Virtual Battlespace used for training by world's largets and most technologically advanced armed forces, including United States Marine Corps, U.S. Army or Australian Defence Forces. Our military customers benefit from open architecture of the Real Virtuality engine, which allows them to use vast amount of sceneries, forces addons and simulated weapons systems tailored by our dedicated development team on their request. The engine presents the client with a complex set of possibilities successfully proven by the game industry such as: complete scriptability, advanced A.I., large scale maps with complex scenery, large list of weapons and civilian objects, and a vast freedom for the user in a realistic and physically accurate virtual world. It is custom enhanced for post action review capability, adds real time mission editing capability, has industry-standard interfaces for merging with other simulators and equipment and more. Please visit www.vbs2.com for more information.